You've been waiting for your holiday for what feels like an eternity, right? So don't hang about at the final furlong. Speed through the parking process with this drop and go go go package. 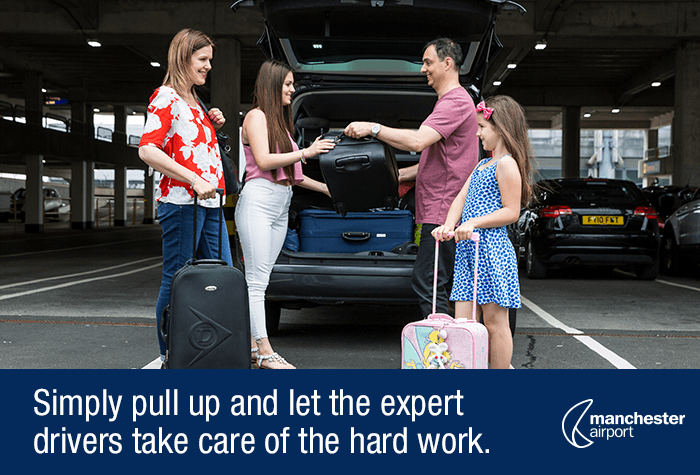 You'll be met at the airport by a chauffeur - who'll park your car in the secured, covered car park, and bring it back to the car park outside the terminal for your return. 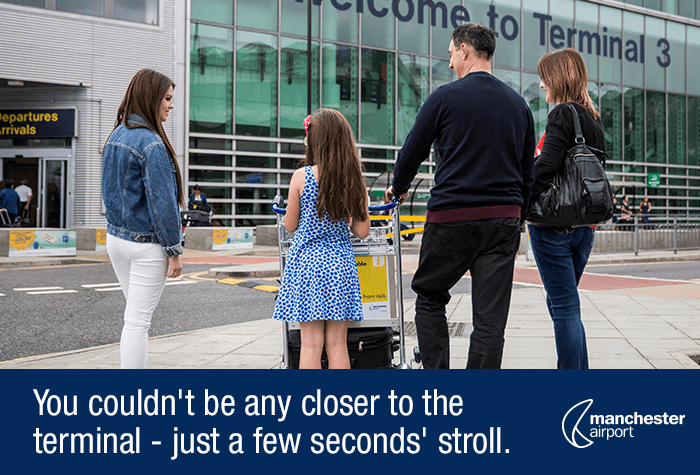 Then speed through security with the included fast pass. 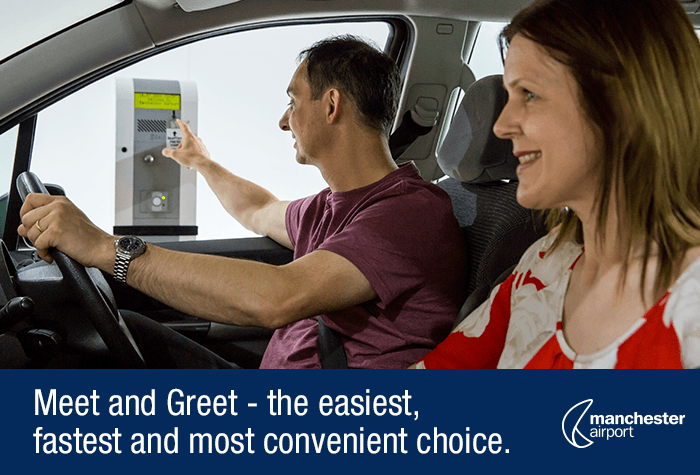 This Meet & Greet package with included security fast track passes is one of our quickest Manchester Airport parking packages. 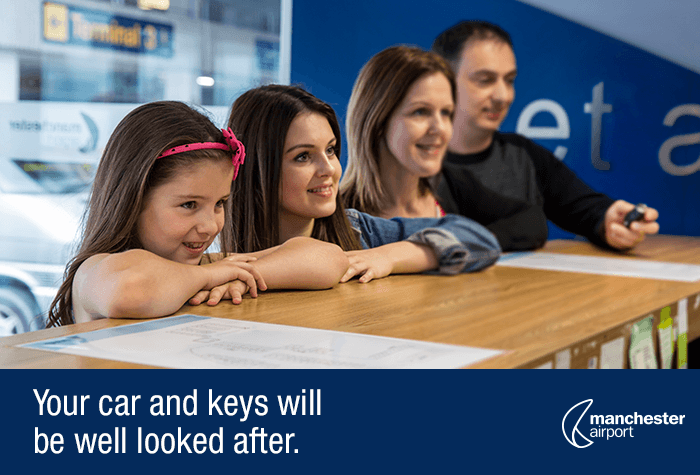 From the 26th November 2018 - April 2019 there is a new location for picking up your keys and collecting your car. On your return, please go to the new Meet & Greet collection point which is located in Terminal 1 arrivals hall, opposite Greggs. 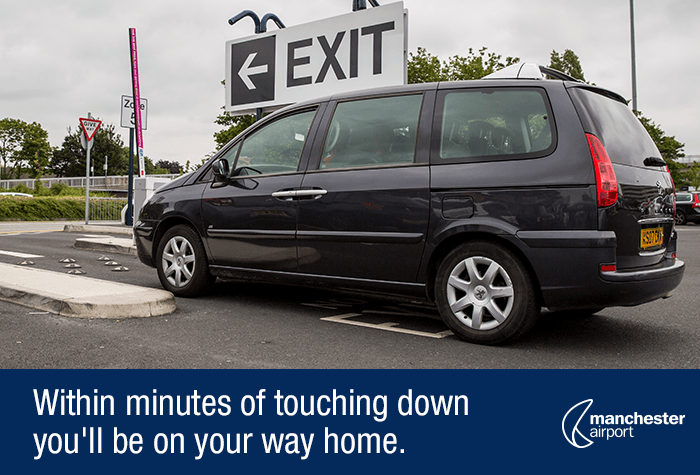 Your car will be parked on level 13 of the Terminal 1 Multi-Storey car park which can be reached by the lifts. Meet and Greet staff will be there to assist. No problems, very smooth, no complaints. Right on the doorstep of the airport. Absolutely brilliant! Directions to the terminal were excellent, parking was quick and easy, dropped keys off easily with friendly staff and we were then just a short stroll from check in. Return experience was equally professional and straightforward. Really excellent! On the way back barrier was not opening and we keep ringing and were told that because it is very busy so it will take time to answer and open the barrier. 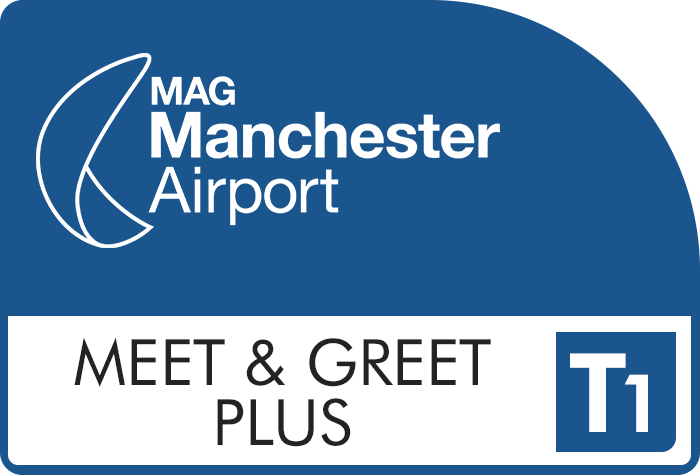 Our customers rated Manchester Meet And Greet Plus Terminal 1 on average 9/10 (6938 reviews). Read Manchester Meet And Greet Plus Terminal 1 reviews.